Spread awareness for eternity with this colorful and inspirational awareness tote bag. 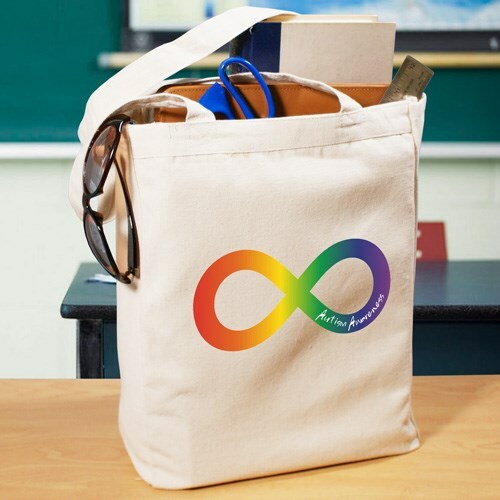 This Autism Infinity Awareness design is available on our 100% cotton, canvas tote bag. This eco-friendly tote bag measures 16” H x 14” W. It is especially strong to hold your take-along items.